One Eternal Day: "My Blessed Savior"
.... Joseph Stennett was the first Baptist hymnwriter. 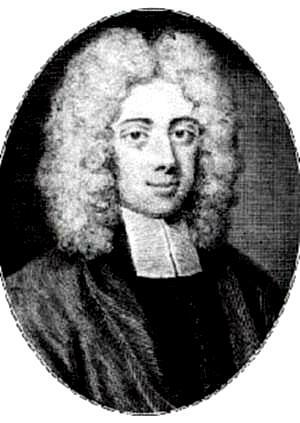 He was praised by the noted hymnwriter Isaac Watts, who was 13 years younger than Stennett, and who sometimes borrowed a few lines from him. There were no copyright laws in those days. The two hymnwriters were friends. If you search Wikipedia for "Joseph Stennett"; and click on the link near the bottom of the article, to the hymn "My Blessed Savior is Thy Love," you will hear and can sing along to the melody.... You can also listen to the music of Stennett's "Another Six Days Work is Done" (a hymn with 14 stanzas!). What love with Thine can vie! Joseph Stennett, Hymns in Commemoration of the Sufferings of our Blessed Savior Jesus Christ Composed for the Celebration of his Holy Supper, 1697, 2nd ed revised & expanded 1705, 3rd ed 1709.